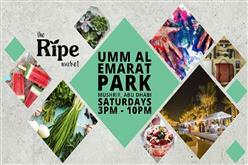 A sumptuous celebration of food will be served up in the emirate this December as the Abu Dhabi Food Festival (ADFF) returns to the capital. 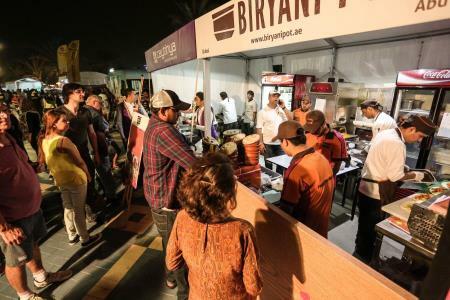 Running right across Abu Dhabi city, Al Ain and Al Gharbia from December 5th to 23rd, the festival will incorporate Gourmet Abu Dhabi, Street Feast and, for the first time, the SIAL Trade Fair, the fastest-growing food, beverage and hospitality event in the MENA region. 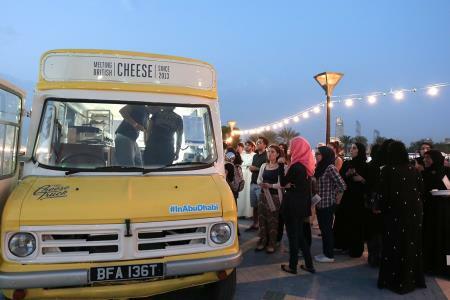 Spread over 19 days and taking in three weekends, ADFF will attract foodies, families and friends to enjoy not only cuisine from some of the best chefs on the planet, but also some of the most scrumptious street food available anywhere in the world today. Gourmet Abu Dhabi will feature exceptional food experiences in a variety of world-class venues from 8th to 23rd December. It will also include a golf-themed event, with the return of Gourmet Golf, a barbeque event, featuring a collection of supercars, as well as ‘High Tea’ events, which will combine cutting edge fashion and some spectacular desserts. A sprinkling of stardust will be added to Gourmet Abu Dhabi this year as Hollywood celebrities John Cusack and Jesse Metcalfe are set to join guests for some exquisite dining experiences. First to arrive in the capital is rising star and Hollywood heartthrob Jesse Metcalfe, whole will make a special appearances at one of Abu Dhabi’s most impressive restaurants Catch, at the Nation Riviera Beach Club, on December 9th. Then on December 16th, 12 lucky gourmet food lovers will share a table with John Cusack at Emirates Palace’s Presidential Suite, in a unique opportunity to interact with one of Tinseltown’s elite. One of the highlights of this year's event will be the participation of some of cooking world's most famous celebrity chefs. MasterChef Australia star Matt Preston, acclaimed Michelin Star chef, restaurateur and global TV personality, Graham Elliot and Adriano Zumbo, star of Zumbo’s Just Desserts, will be delighting food fans with pop-up restaurant appearances, ‘Meet & Greets’ and cookbook signings during the festival. 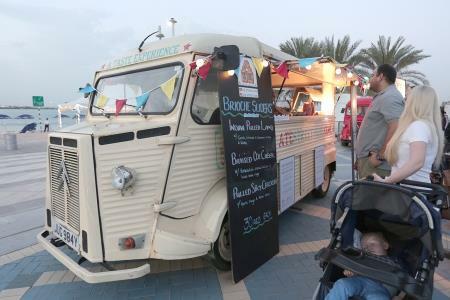 Street Feast is also on the menu once again, promising a fantastic culinary experience for all. 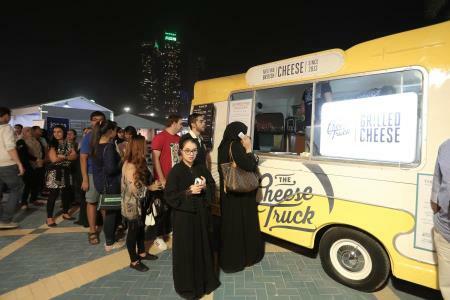 More than 60 food trucks will feature across Abu Dhabi and Al Ain with over 150 different food options to choose from, which will make it the biggest food truck festival in UAE. 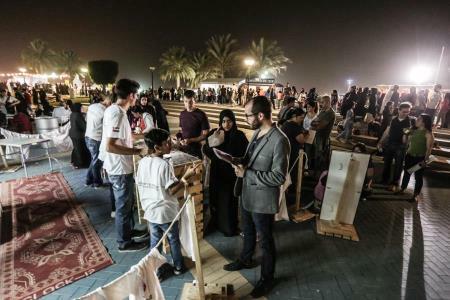 ADFF will also feature unique events such as ‘desert’, ‘sea’ and ‘sky’-themed dining experiences, a Gourmet Golf event, a ‘Fast Cars, Slow Food’ barbeque and live music, as well as a multitude of mall activations that will delight both families and children. The event will also have a full range of activations and promotions in the emirate’s hotels, restaurants and malls. 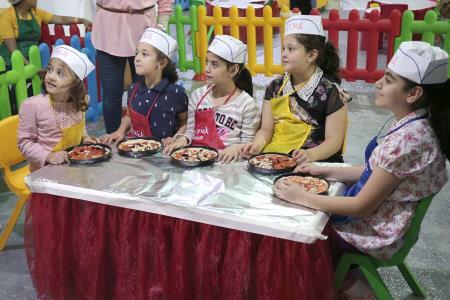 Main attractions on the menu include cooking demonstrations, ‘Kitchen Missions’ featuring Dora the Explorer, the Ninja Turtles and SpongeBob Squarepants, with live music, chocolate carving, and unique barbeque events. Matt Preston is a food journalist, restaurant critic and television personality. He writes a weekly column for the Taste food supplement in the Daily Telegraph, Herald Sun, The Adelaide Advertiser, The Courier Mail, Sunday Times (Perth) and The Mercury. Best known as a judge and co-host on MasterChef Australia and MasterChef: The Professionals, Preston is also a senior editor for delicious magazine. Previous positions include five years as the National Chief Judge for Restaurant and Catering's National Awards for Excellence. Preston was the Creative Director of the Melbourne Food and Wine Festival for five years from 2005-2009. Matt is a keen exponent of social media and has an active following of over 80,000 fans on both Facebook and Twitter. Chef Graham Elliot, a critically acclaimed chef, restaurateur and television personality, is one of the most recognised faces cooking in America today. Growing up a “Navy brat” allowed him the opportunity to travel the world and all 50 states, opening his eyes and mouth to the amazing flavours found around the globe. At age 27, Elliot became the youngest four-star chef to be named in any major US city and was named one of Food & Wine magazine’s “Best New Chefs” in 2004. In May of 2008, Elliot opened his eponymous restaurant, Graham Elliot, which is now one of only 15 restaurants in the U.S. to be awarded two Michelin stars. An appearance on the first series of MasterChef Australia helped introduce the croquembouche to an even wider audience and made Adriano Zumbo – and macarons – a household name. Adriano has now opened nine stores throughout New South Wales and Victoria including a contemporary high tea salon in Melbourne. He has released three bestselling cookbooks, the most recent The Zumbo Files, which hit bookshelves globally in May 2015. In his latest publication, Adriano presents 50 new recipes that explore unique flavour combinations, exciting textures and bold colours – providing a rare glimpse into the creative mind from the man food critics call the ‘Sweet Assassin’. 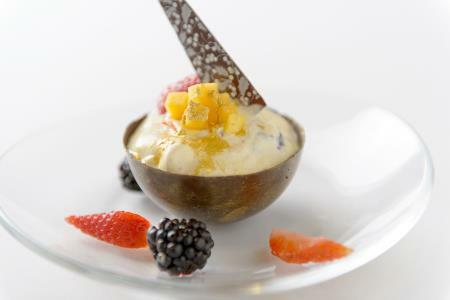 Adriano has competed in several prominent international competitions including Coupe de Monde and the Asian Pastry Cup. In 2012 he joined forces with premium French chocolate brand Cacao Barry, announced as their Australian Ambassador. It’s his love affair with confectionary combined with his Parisian training at institutions that include l’Ecole Lenôtre, Bellouet and Pierre Hermé, which has resulted in a sensibility as delicious as it is irreverent. Hollywood royalty John Cusack will be appearing at Abu Dhabi Food Festival as part of a celebrity-hosted dining experience. With an impressive body of work spanning the course of two decades, Cusack has evolved into one of Hollywood’s most accomplished and respected actors of his generation, garnering both critical acclaim as well as prestigious accolades for his dramatic and comedic roles. In April 2012, the Hollywood Chamber of Commerce presented Cusack with the 2,469th Hollywood Walk of Fame star, honoring his long, ground-breaking career in film. Cusack first gained the attention of audiences by starring in a number of 1980s film classics such as The Sure Thing, Say Anything and Sixteen Candles. Following these roles, Cusack successfully shed his teen-heartthrob image by demonstrating his ability to expand his film repertoire by starring in a wide range of dramas, thrillers and comedies including The Grifters, Eight Men Out, Being John Malkovich, High Fidelity and Grosse Pointe Blank. Rising star Jesse Metcalfe will also be appearing at Abu Dhabi Food Festival, as part of the celebrity-hosted dining event. Now considered one of Hollywood’s leading men, long gone are the days of Metcalfe pushing around a lawn mower on the award-winning television series, Desperate Housewives. Thanks to this breakout role opposite Eva Longoria, Metcalfe has easily become a go-to actor in both the television and film industries. Metcalfe recently wrapped production on Dead Rising: Endgame– the anticipated follow-up film to the 2015 cult classic, Dead Rising: Watchtower. The film stars Metcalfe as Chase Carter, investigative reporter turned zombie-apocalypse vigilante. Up next, Metcalfe will be seen in the indie film Destined.